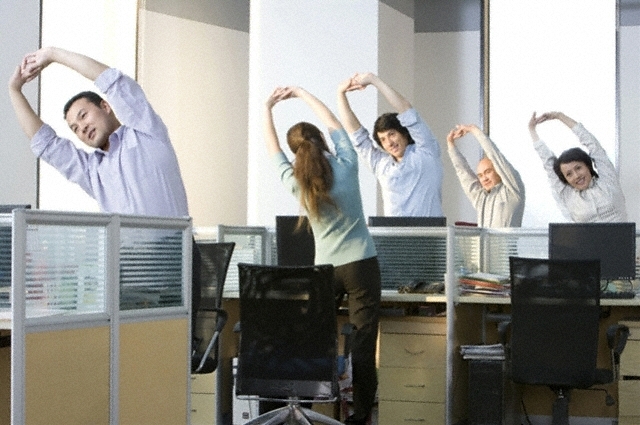 Exercise is good for you and for work! In today’s age our mind is constantly switched on, if it’s not a computer screen we are looking at, more than likely we will be staring at the screen of our mobile phone. It is non-stop and can be very difficult for people to put their work or their phone aside and to just switch off for a period of time. Not only will it benefit us to switch off personally but it will also benefit us in the work place. Exercise can be used as a great way to switch off and de-stress. By setting aside a couple of hours a week to fit in some exercise you can enjoy some really great benefits. You can use that time to step away from your phone or computer screen and clear your mind, while also improving your physical fitness. Exercise does not have to be a dreaded experience. The main thing is to find an activity you enjoy doing and this will make it a lot easier to stay motivated. Organise a walk at lunch time – the more people involved the easier it will be to motivate people. Heading out with the team can also be great fun. Use a personal trainer once a week to do a work out; this could include activities such as yoga, Pilates, circuits and much more. Encourage walking to meetings as much as possible. So dust off those runners, discover what you enjoy and get active! This entry was posted on August 10, 2016 at 7:26 am and is filed under Friendship, Motivation, Personal Development, Teamwork, Work Life balance. You can follow any responses to this entry through the RSS 2.0 feed. You can leave a response, or trackback from your own site.